Minneapolis, MN: It has come that time of year again where I make my mortgage interest rate prediction for the coming year. My long range forecast is based on multiple indexes, theories, past industry experience, and a little bit of guessing. The bulk of the weight this year goes towards the continuing reduction in the easing of the current Federal Reserve bond buying program, which started this month. If the economy falters, and the Fed delays their easing, the anticipated increase in rates could be pushed back. 1. Inquiries lower your credit score. There are two types of inquiries. One is “soft”, where you pull it yourself. This has no effect. The second is a “hard” inquiry, when a lender reviews your report. It has really no effect UNLESS you have a lot of inquiries in 90-days most recent to the inquiry. Then it may have a very minor effect on your overall score. For 95% of the people 95% of the time, having someone look at your credit report means nothing. 2. Income effect score: The credit bureau does not consider income. They have no idea if you make a million a year or no job at all. .
3. Close credit card is smart. Maybe. But be careful. You have to have credit to get credit, and part of your score is longevity. On time payments on a card you’ve had for 10-years is much better than on time payments on a card you’ve had two months. The credit bureau will tell you they like to see a well rounded person. A mortgage, a car loan, and a few credit cards is what they think is perfect. 4. All credit scores are the same. 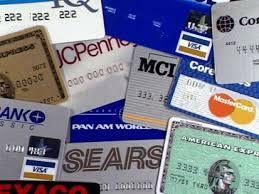 There are three major credit reporting agencies (Experian, Equifax, and Transunion). They use similar, but use different algorithms to calculate your credit score. There are different systems for different vendors. For example, mortgage scoring is different than car loan scoring. To make it worse, most of the online providers of credit scores use something known as an Advantage score, which is a different score than your lender obtains. 5. Paying bad debt fixes your credit. Paying collections and charge off’s is always better, but paying them doesn’t make them go away. They still occurred, so they can still hurt. Standard late payments remain for up to 7-years. Bankruptcies and foreclosures remain for at least 10-years. 6. My bad credit hurts forever. It can effect you for awhile, but time can heal the damage. Make sure you have no more new negative items, have some current credit, make sure you pay the credit on time, and keep credit card balances very low. Doing these items will repair even the worst of credit in just a few years. 8. Max’ed out credit cards I pay off monthly helps builds credit. Wrong – and big time wrong. Whatever balance is on the monthly statement is what gets reported to the credit bureau. This makes it look like you always carry a high balance, hurting your score. Find out what day of the month your bill is generated, and pay it off a day or two earlier. This way it looks like you carry little to no balance each month. 9. Disputing negative information is smart. Maybe. If it is legitimately wrong, by all means, dispute it. Disputing is what most credit repair companies try when promising to clean up your credit report. But lenders are getting smarter about the tricks. An unpaid disputed item on your credit report can now cause you major problems when applying for a mortgage loan. 10. All late payments are reported. You may pay a late fee, but generally speaking, a late payment isn’t reported to the credit bureau unless you are over 30-days late. Follow this link for more information about your credit scores. Minneapolis, MN: Is it finally over? With foreclosure filings throughout 2013 reported by RealtyTrac to be at the lowest annual level since 2007, one might begin to hope the housing crisis has ended. However the company also reports that overall foreclosure activity increased last year in 10 states and scheduled foreclosure auctions in judicial process states were the highest in three years. Float or Lock your Mortgage Loan Interest Rate? Minneapolis, MN: I get asked the should I float or lock question many times every week, and I generally have the same answer. Lock. Watching the markets, and trying to figure out what the markets will do is an exercise in futility. There are simply too many reports, commentary, and data constantly being analyzed from every angle and perspective. The last 10-years, much of the talk has not matched the actual trading of bonds. During the time most home owners are in what lenders call a lockable position, which generally speaking, this means the timeframe after you’ve signed a purchase agreement, and about 10-days before your closing. You can’t lock a rate until you have the exact house, and eventually the lender has to finalize your approval and send out documents for your closing. Mortgage interest rates are likely to move up and down many times during this lockable period, which is usually 60-days or less. Rarely do we see rates make big moves, rather just small moves of 1/8th to 1/4 percent higher or lower during that period. A typical example week may be something like 4.625% on Monday, 4.75% on Tuesday, 4.625% on Wednesday, 4.50% of Thursday, and 4.625% again on Friday. Now if we KNEW what rates were going to do, we could easily just lock on this example Thursday. Unfortunately, no one has a crystal ball, and no one knows what mortgage rates are going to do. Therefore my float or lock advice is to always lock your rate the moment you are able to lock, and never look back. If you lock: You are OK with where mortgage rates are today, and how they relate to your loan payment. You are all done with this part of the home buying process, and don’t have anything to worry about. You can focus on other aspects of your new home. 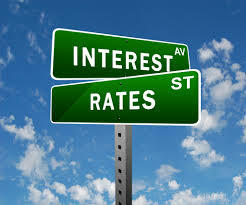 While rates may go down before you close, generally speaking it might only be 1/8th percent. If you float: Mortgage Rates can go up, or rates can go down. If they go down, great – you win. If they go up, you lose. While rates may move before closing, generally speaking it is rare to see it move more than about 1/8th percent before closing. Sure, you would like a little lower rate, but you are stressing yourself worrying about rates. If 1/8th to 1/4 percent makes that much of a difference, you are probably buying a house you really can’t afford. No one knows what interest rates are going to do. Lock, be happy, and don’t worry about it. Minneapolis, MN: 2013 was a pretty good year for the real estate market. According to CoreLogic, an estimated 3 million homeowners regained significant equity during the year remarkable year. The increase in equity has many positive effects. First, many more homeowners are now in a position to sell their home without taking a (big) loss. There has been some huge pent up demand for many to sell their home and move, but just couldn’t. The next effect is that many more people are able to refinance to take advantage of current mortgage rates to either lower their existing loan payments, or to take cash out to repair or improve your home, or pay off other debt. Finally, these people just simply feel better about their financial situation because they are no longer underwater. Higher consumer confidence leads to people willing to spend money, which has an obvious value to the economy. According to the report, around 65% of homeowners have either no mortgage, or have at least 20% equity in their homes. Unfortunately, this still leaves an estimated 6.4 million homeowners who have real estate in a negative equity position. Experts point out they expect values to continue to rise in 2014, but likely at a slower pace than 2012 and 2013. Interested in knowing what your how is worth? Get a free estimation of your homes value here. A recent study by Fannie Mae found some distinct differences in the ways higher income earners look for a mortgage compared to lower income earners. Steve Deggendorf, Fannie Mae’s Director of Business Strategy looked at the shopping behaviors of the two groups through the company’s regular National Housing Survey during the second quarter of 2013.